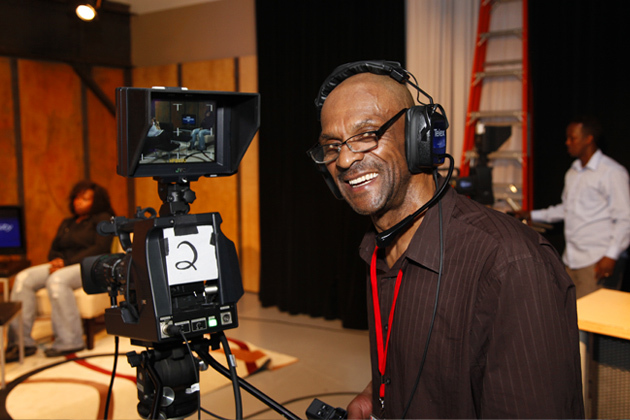 BNN provides support for community producers throughout the production process and beyond. Our staff is always willing to lend an ear and a helping hand to assist you with your project and we offer an array of intermediate and advanced level workshops to hone your skills. Working with and learning from other community producers is an invaluable experience and we strongly suggest you take advantage of this resource. The BNN Producer Media Tool Kit provides information and resources to help you through the production process, from pre-production to advertising your show. The Tool Kit includes forms you need to complete and submit to BNN. Click on each link to access pdf forms. • Project Proposal: Describe your project and the facility and equipment resources you will need. Included is the Producer Agreement & Indemnification Contract, which must be signed and submitted to BNN prior to beginning your project. Click Here. • Producer Planning Packet Information: Plan and organize your show with this tip sheet and list of helpful forms. Click Here. • Producer Checklist: Keep on track while preparing your project. Click Here. • Demonstration/Performance Summary: Describe what you will be doing and what set pieces and props you will need. Form must be submitted to Studio Manager 48 hours prior to production. Click Here. • Musical Performance Summary: Describe what you will be doing and what set pieces and props you will need, including list of instruments and number of mics and amps you will need. Form must be submitted to Studio Manager 48 hours prior to production. Click Here. • On-Screen Tag: Provide lower third names and titles, as well as "for more information" or "how to reach" you or your guests. This information will be shown on-screen during your show. Click Here. • Show Rundown: Describe each event occuring during your show, including what the audience will see and hear and how long each segment will last. Click Here. • Show Rundown BNNLive: Describe each event occuring during your show, including what the audience will see and hear and how long each segment will last. Included is a sample rundown. Click Here. • Set Design & Lighting Plan, Community TV Studio: Mark up a studio floor plan with your set and prop needs and camera positions. The lighting grid will help you create your lighting plan. Click Here. • Set Design, BNNLive Studio: Mark up a studio floor plan with your set and prop needs. Forms must be submitted to Studio Manager 5 days prior to your show. Click Here. • Crew List: Fill in all crew positions you will need for your production. Must be submitted to Studio Manager 48 hours prior to your show. Click Here. • Guest Guidelines: Tips on how to look your best on camera, prepare talking points (including PowerPoint presentation), how to show images on screen and how to prepare for a demonstration or performance. Click Here. • Script Template: Keep track of your script when planning a show or a PowerPoint presentation. Click Here. • Shooting Template: Keep track of your shots and where they will be used in your production. Click Here. • Field Footage Log: Organize your footage when you return from your field shoot to prepare for editing. Click Here. You need to have a release form signed by the proper person before shooting. • Individual Release Form Click Here. • Multiple Individual Release Form Click Here. • Minor Release Form Click Here. • Materials Release Form Click Here. • Location Release Form Click Here. Dub Request Form: Fill in and return to the BNN Distribution Department with dub requests. Click Here. BNN will help you promote your show by creating a 30 second promotional video, which will be featured on our channels and website. Learn More.